Our team is growing - and you could be part of it! 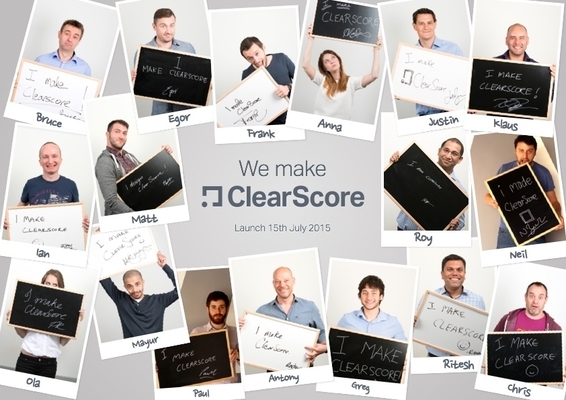 It’s been a whirlwind couple of months for the team here at ClearScore as we first beta-tested and then raced to market. After 6 months with heads down building the site, we were able to launch ClearScore.com to the public and see what they think. The response, and the feedback from the tens of thousands of people who’ve come to the site has simply blown us away. People love it – the design, the user experience, the concept, the information. They seem to love it as much as we hoped they would! We are just so proud of what we’ve been able to achieve so far, and the best thing is, it’s only the start. Our mission is to make people’s financial lives clearer and easier to manage and we’ve now taken one giant step on that journey. So it will come as no surprise that we’re hiring! We’re preparing to ramp up fast and we need brilliant, talented, fun people to join us and be part of it. If you’re passionate about building technology to make people’s lives easier, fanatical about detail and design, and want to build a world-beating brand – we want to meet you. There are roles across the board – from customer communications, to devops, to compliance, to frontend developers. Do you know anyone looking for a start-up career opportunity? Send them our way – ClearScore.com/jobs.